The real estate sector has been hurt by changes in government policies in the last three years, such as, the introduction of the Goods and Services Tax and the Real Estate (Regulation and Development) Act, 2016. These measures resulted in a huge pile-up of unsold properties (around 6.75 lakh units) in this period. Now, even with the government seeking to ease the pain by announcing a 7 per cent cut on GST on under construction houses, the situation may not improve drastically. The rates were slashed in the last GST Council meeting on February 24. For affordable housing, it was reduced to 1 per cent (8 per cent earlier) and for other under construction houses, it was reduced to 5 per cent (earlier 12 per cent). Immediately after the announcement, realty stocks moved up in bourses. The expectation was that the reduced GST rates would encourage home buyers and would help reduce unsold inventories. However, the rate cut panacea did not provide comfort to developers and home buyers, who have been at the receiving end of the government's frequently changing policy stance. Soon after GST was introduced on July 1, 2017, developers witnessed a huge dip in buyers' interest for new homes. While for all other goods and services, taxes like VAT (value added tax) were subsumed by GST, for home purchase, the government imposed GST while keeping alive the stamp duties to be paid to state governments. According to experts, the 7 per cent reduction in GST rates may not make home buying cheaper by a similar extent. The reason cited for this is the GST Council's decision to end tax credits available to developers on paying GST for their inputs. (Earlier, developers could pay taxes towards their inputs, such as purchase of building materials, and claim credit to reduce their tax liability at the time of sale.) "This could trigger builders to increase their base prices by as much as 5 per cent to 6 per cent," concluded CRISIL in a brokerage report on the impact of the GST rate cut. “Reducing the rate of GST from 12 per cent with input tax credits to 5 per cent without input tax credits, on non-affordable houses, and revising it to 1 per cent down from 8 per cent on affordable housing segment is only a buyer-centric move by the government,” said Rahul Prithiani, director, CRISIL Research. “However, developers will be burdened with GST payments to vendors, suppliers, agencies and contractors. This will increase cost further, amid the already shrinking margin in business due to dynamic policies implemented by the government.” Another brokerage firm SBICAP estimated that the unavailability of input tax credit would increase home prices by up to 7 per cent. “This would make the housing sector further out of reach for the common man,” its report said. Currently, GST is levied on all services and goods used by the developer. A builder pays 5 per cent GST on inputs like sand and bricks, a tax of 18 per cent is levied on the builder for iron and steel used in construction and on electrical cables. The tax rate is even higher at 28 per cent for basic construction inputs like cement, ready mix concrete and sanitary fittings. Labour and other services availed from third parties attract a 18 per cent GST to be paid by the developer. The government had last month constituted a seven-member group of ministers to look into GST-related issues of the real estate sector. Its agenda was to analyse the tax rate of GST on the under construction residential properties to boost the realty segment. Members of the GoM comprise finance ministers of five states—Sudhir Mungantiwar of Maharashtra, Krishna Byre Gowda of Karnataka, T.M. Thomas Isaac of Kerala, Manpreet Singh Badal of Punjab and Rajesh Agarwal of Uttar Pradesh. Goa's Panchayat Minister Mauvin Godinho is also a member. Like Bindal, most builders believe that the tax cuts would help only a handful of builders to liquidate their unsold units. Experts believe tax cuts have to also benefit the developer if it has to reach the buyer. “The reduction of GST rates on home purchase is some what superficial,” said B.K. Goenka, president, ASSOCHAM (Associated Chambers of Commerce and Industry of India). 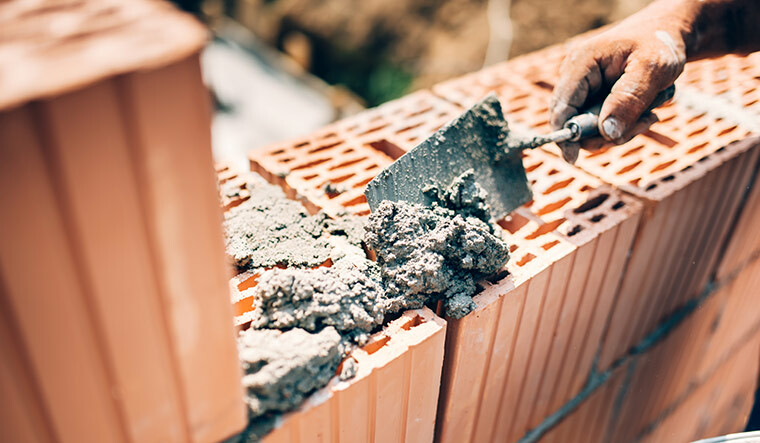 “GST on cement, for instance, is too high and you cannot build a project without cement.” ASSOCHAM and several developer's associations have therefore demanded that the GST rate in cement be reduced to 18 per cent. Some builders are of the opinion that a slightly higher GST rate and the retention of the input tax credit would have lowered actual home prices even more. "It would have been better if the Council would have recommended slightly higher rates, say 3 per cent and 7 per cent, for under construction affordable and non-affordable housing, respectively, with the facility to avail input tax credit. This lower slab with restriction on input tax credit would lead to higher credit cost for builders as well as home buyers,” said Sanjay Dutt, CEO, Tata Realty. Dutt suggested that the government should have bestowed some more benefits on beleaguered builders. 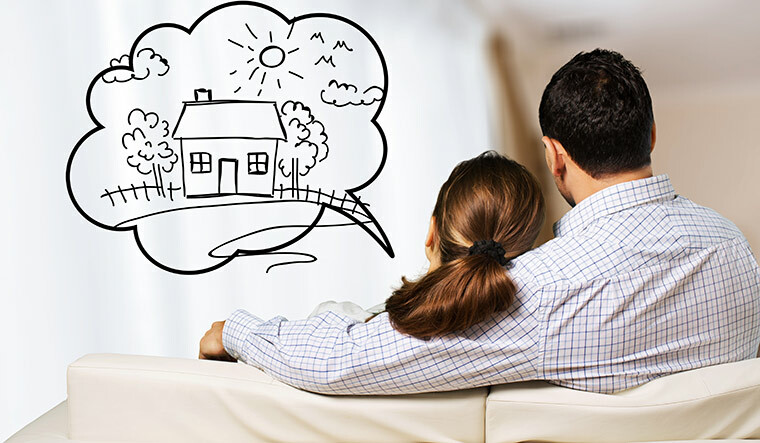 “A lower cost for developers would have prompted the fence-sitters who had delayed their home purchase in last two years, to actively buy homes. It could have been a win-win for all,” he said. Instead, he said, home buyers would still prefer to wait and watch if builders can still manage to pass on more benefits to them. 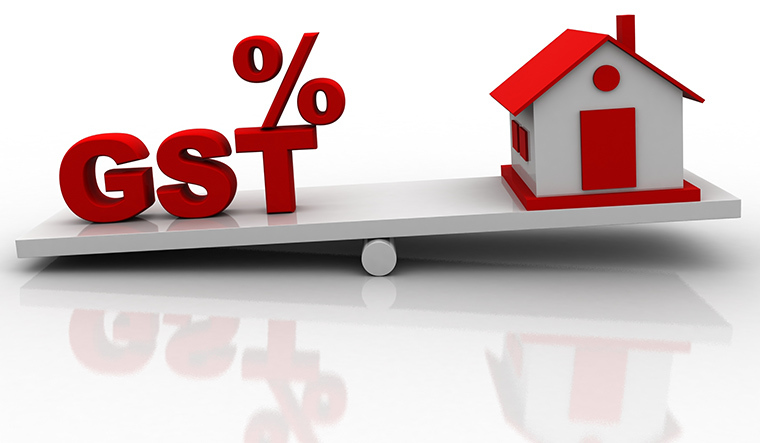 In a representation made to the GST Council and to Union Finance Minister Arun Jaitley, NAREDCO members have said: “It is imperative that the government remove the stamp duty and reduce the GST rate applicable, especially keeping in mind the housing for all target of 2022.” The government, so, far believes that the GST rate cut in home purchase would not affect tax collections. Ministers in the Council have independently admitted that it is still a long way off from improving sentiments of home buyers and boosting the sector which was registering stellar financial performance before demonetisation and GST were announced. An assessment by the revenue secretary Ajay Bhushan Pandey on the revenue impact of the decision on the real estate sector is likely to be discussed during the next GST Council meeting. Indications from finance ministry officials are that the government had registered the issues that have risen after last month's decision. “There are scope for some further rationalisation of tax rates of individual items used by housing developers,” said Pandey. “We are exploring some options in that direction.” While developers and home buyers hope that the GST Council abolishes stamp duty on new properties, the idea had faced objections from a number of states and may not be taken up for discussion any time soon.